The StoreWALL range of accessories extends itself to also include Tote Bags. Tote Bags aren’t just any ordinary bag that gets hung from a hook. 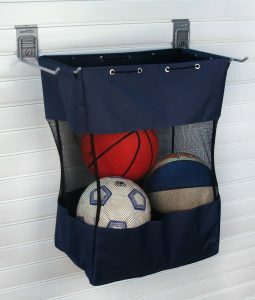 Tote Bags made by StoreWALL are designed to stay open when hung so that their contents can be easily seen, and easily removed as required. Tote Bags can be used to store pretty much anything that is light to medium weight. 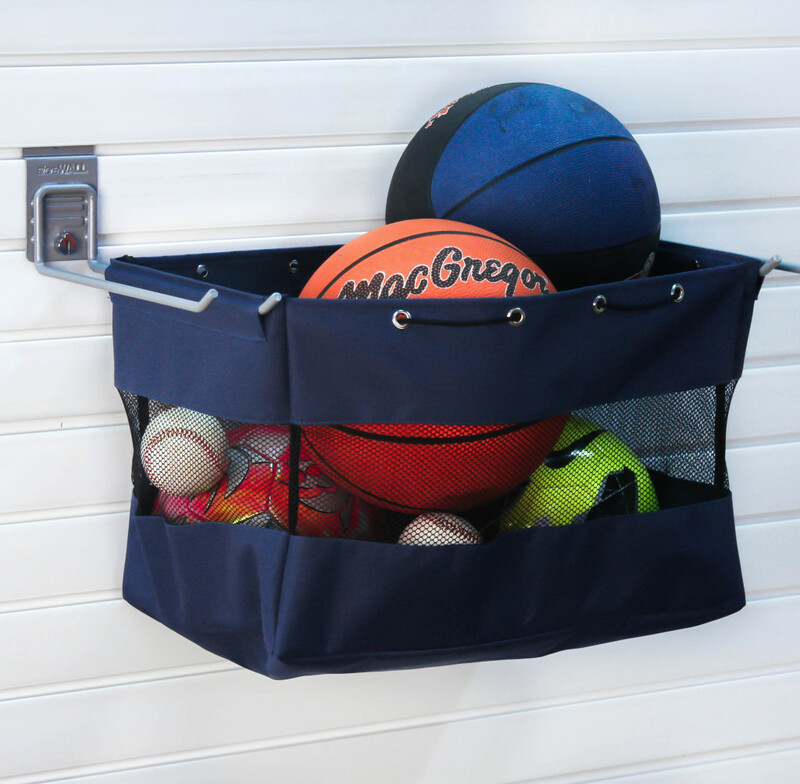 They are ideal for sporting gear as well as clothing and even summer gear such as toys for the beach, picnic rugs and anything that you might need to take with you including the bag itself. In my case, I keep all of my son’s soccer gear in the one bag. We train 2 nights a week together, so I have everything he needs for each session in the one bag making it super simple to find everything but also take it all with us, including the bag itself. StoreWALL Tote Bags come in three sizes, Small, Medium and Large. The dimensions of the bag range is listed below. Each bag is made of heavy duty tear-resistant canvas. This ensures that the bags can go through considerable wear and tare. Each bag also features a mesh inner area so that contents can clearly seen. The mesh also allows air flow through the Tote Bag which can be handy if your bag includes worn boots or clothing. Our range comes in the following dimensions when bags are fully open. StoreWALL sell over 25 different hooks. Our Tote Bags aren’t designed to just be hung from anyone of our hook range. To give you the maximum value from your Tote Bag, each bag is hung by two hooks, one on the left and one on the right. You will require two 300mm Universal Hooks with each bag. The hooks ensure that the bag is full extended when open so that all contents are clearly visible. All of these item could easily be kept in the small Tote Bag. When you are ready to get going, there is no need to remove each item and place it into another bag. All you need to do is take the bag off the Universal Hooks, draw the strings and off you go. This is the the ideal Grab and Go scenario. With everything kept in the one bag, your items will not get lost so you don’t have to spend 15 mins prior running around looking for everything. One bag can hold it all together for you. Our Youtube Channel will shortly feature the bags. You can find pricing for our StoreWALL Grab & Go bags in our online store.